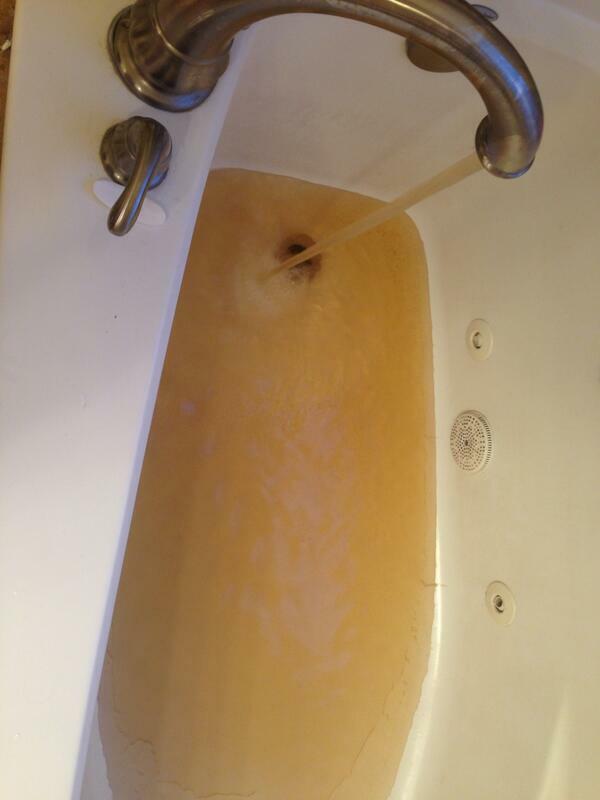 OVEC linked to this editorial from the normally pro-coal Morgantown Dominion Post that says: water — a necessity so fundamental it’s one that people in a developed country should expect. At the time of the spill, Governor Earl Ray Tomblin, a Democrat, issued a strict do-not-use order for tap water, which lasted in some areas for 10 days. A fifth-generation native of the Appalachian Kanawha River region (known as Chemical Valley), Satterfield has always used the water for everything. But even with the official go-ahead having been given several weeks ago, she refuses to drink it. Nor will she brush her teeth with it or shower in it; she won’t run a load of laundry. She even refuses to mop the floor with the water. “It’s sad,” she says, her eyes tired. “All my life, with all the chemical plants, Carbide, DuPont and all the rest, we’ve never had a problem like this.” It’s long past time to get serious. On January 9, a storage tank holding 48,000-gal. of the coal-washing chemical MCHM ruptured right next to the Elk River. Feb. 11, 108,000-gal. 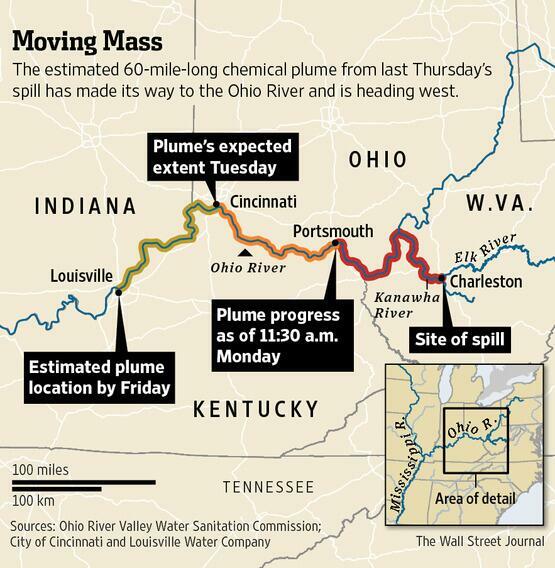 of coal slurry spilled from a Patriot Coal processing facility into the Kanawha River. On Feb. 2, a pipe under a coal ash pond ruptured, sending 82,000 tons of coal ash and 27 million gallons of tainted water into the Dan River. Coal slurry is nasty stuff. It contains mercury, arsenic, chromium, manganese, boron, and other heavy metals.right next to the Elk River, less than two miles from the intake to the water treatment plant for Charleston, W.Va. Approximately 10,000-gal. of the chemical spilled into the river. The water supply for 300,000 people was put out of commission for everything except flushing toilets. A little more than a month later, oOn Feb. 11, 108,000-gal. of coal slurry spilled from a Patriot Coal processing facility into the Kanawha River, reported the Charleston Gazette on wvgazette.com. As the coal slurry was being pumped a valve failed. Next the alarm that was supposed to alert operators of the valve failure itself failed. The coal slurry soon overwhelmed the containment wall until the slurry flowed into Fields Creek, which flows into the Kanawha River. Coal slurry is nasty stuff. It contains mercury, arsenic, chromium, manganese, boron, and other heavy metals. On Feb. 2, a pipe under a coal ash pond owned by Duke Energy ruptured, sending 82,000 tons of coal ash and 27 million gallons of tainted water into the Dan River, upstream from Danville, Va. This entry was posted in Algebra and Hemp Science and tagged Americans for Prosperity, BIO-FUEL, Charleston, chemical spill, Clean Water, coal slurry, coal-washing chemical 4-methylcyclohexene methanol, earthquakes, Fossil Fuel Resistance, fracking, GOP, Governor Earl Ray Tomblin, hemp, Kanawha River, Koch, MCHM, Morgantown Dominion Post, ObamaCare, PPH, propylene glycol phenyl ether, The Freedom Industries, West Virginia. Bookmark the permalink.